Students in grades K-2 at Bellmore’s Charles A. Reinhard Early Childhood Center grasped the handles of colorful jump ropes during physical education classes throughout February. In attempting to break their own personal records for successful jump-roping, they also raised more than $16,044 for the American Heart Association’s Jump Rope for Heart Campaign. 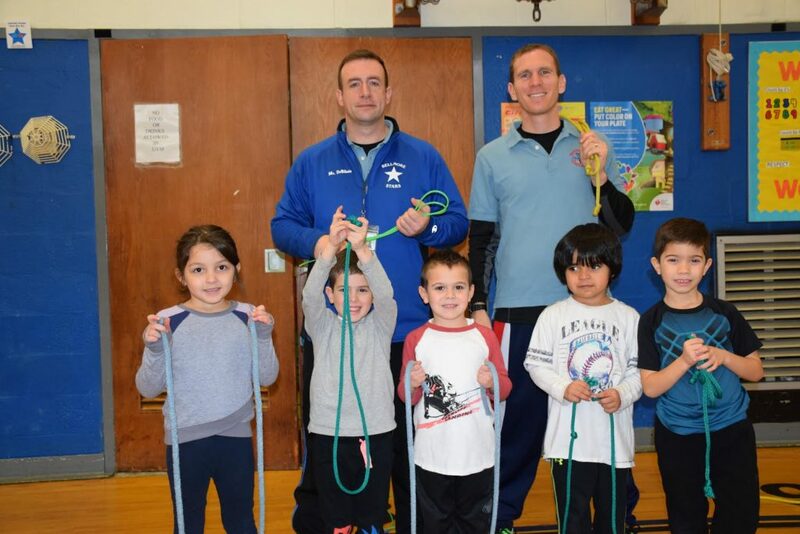 Photo caption: From left, Charles A. Reinhard Early Childhood Center physical education teachers Elia Deblasio and Ari Bisk are pictured with students who participated in the school’s Jump Rope for Heart campaign this February.